So, as you know, Ariel's 2nd birthday party is happening in two weeks' time and it will be a fully sponsored celebration, thanks to KidzFiesta. That also means that for the first time ever, I get to sit back, relax and have a cup of tea while others are doing the decorations, games and party favours. I have to admit that it feels kind of awesome yet a little weird. Yes, you know me. 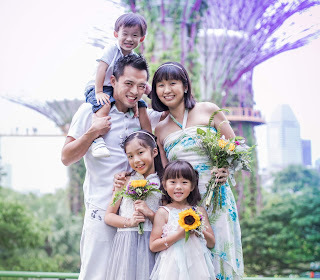 I just don't like to idle around and it makes me feel guilty if I am not doing anything for my own kid on her special day. So, in a bid to make myself feel more involved, I requested to KidzFiesta to let me take over the job of designing, creating and sending out the birthday invites to the guests. Yippee! 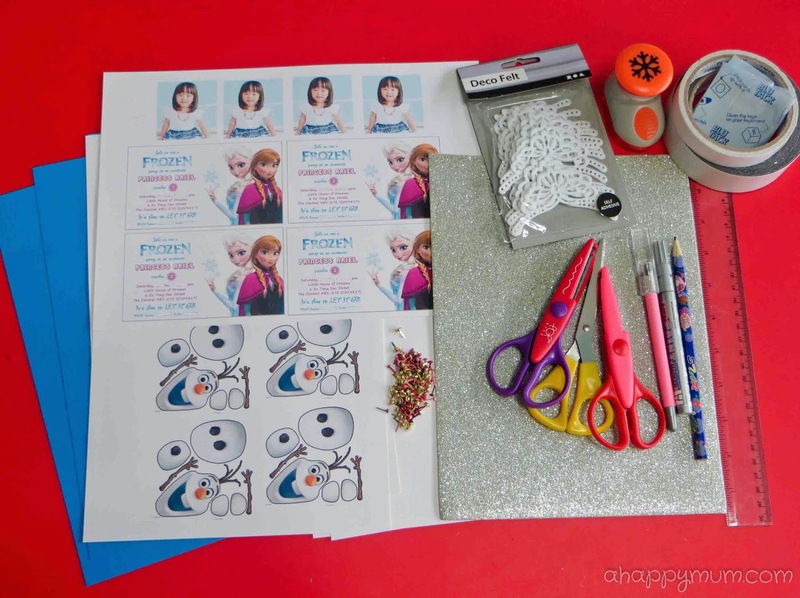 So, in today's Creativity 521, I'm sharing with you our DIY Frozen Birthday Invites! Firstly, I designed the body of the invite using Photoshop, including important information like date, time, address and contact number. Once I was satisfied with the final look, I printed out copies along with pictures of the birthday girl and cut them out neatly. 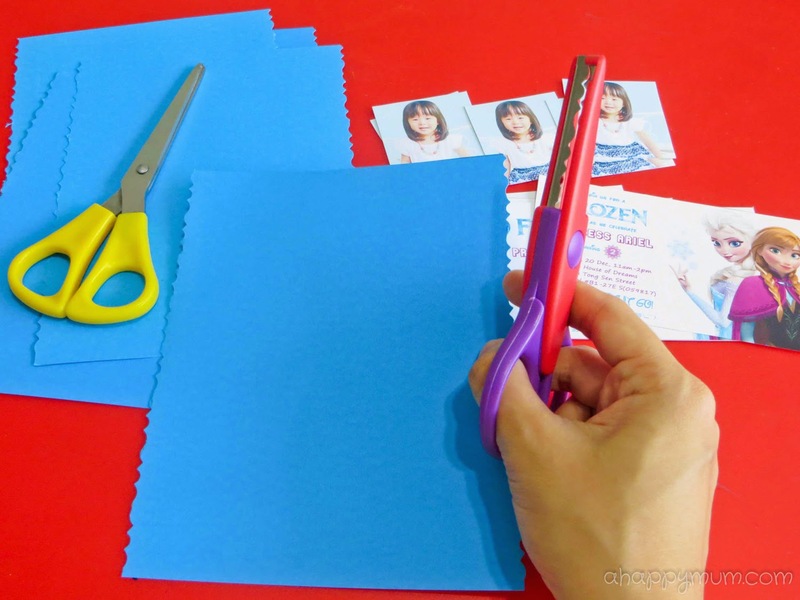 Next, I cut out a piece of blue paper to a desired size, used it as template for the rest and then trimmed the vertical sides with a patterned scissors to jazz things up. Then comes the most time-consuming but fun part of it all - building a snowman! Yes, I literally did, albeit just a paper one. Using this template, I printed out Olaf and resized him so he could fit nicely in the card. Following that, with my handy craft knife, I cut out the different parts of his body one by one. The "hair" can be quite tricky so be careful with that. Also, as his arms were quite skinny, after some trial and error, I found it better to leave a little white space at the ends so that they became easier to attach to the body. Time to build! Using the brads pins (I used really tiny ones so that they are not so obvious), assemble Olaf until he becomes a whole. You can use a craft knife to make a small hole or tiny slit so that it is easier to insert the brads. Split the ends of the pins to hold them in place and make sure they cannot be seen from the front, even when you move the parts. For the arms, I folded one end of the pins inwards to conceal them behind the body. Using a white paint marker, I coloured the tip of the brad pins white so that they blend in with the snowman. Make sure the brad pins are secure but not overly tight so that Olaf can move around! See, he can come up with many poses and is as cute as the one in the movie! I put in extra time and effort to make these as I wanted them to be a memento for the guests even when the party is over. Now, it's time to add the snow! I knew I had this craft punch somewhere lying around and it made making the snowflakes so much easier. Can't imagine having to cut out all these with a craft knife! Anyway, I used the leftover photo paper from printing the invites for this as they are thicker and more sturdy than normal copy paper. The last part was to put everything together! 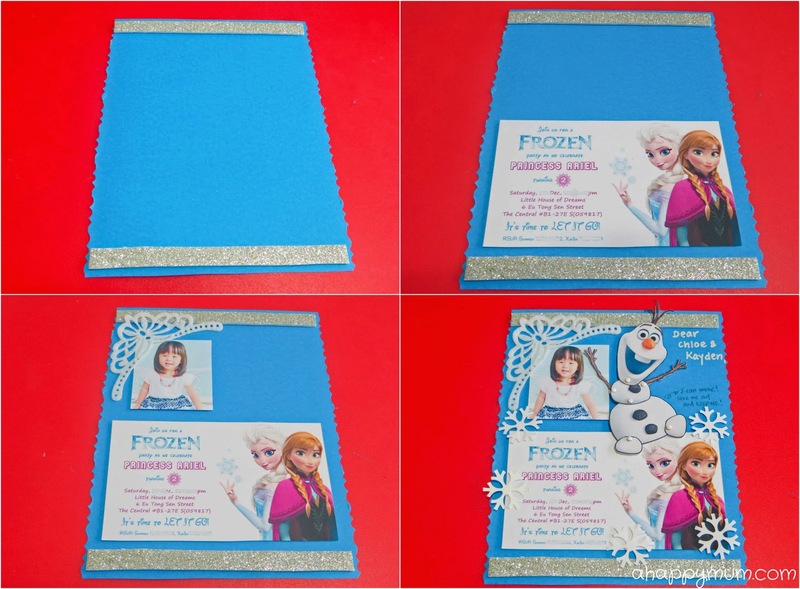 Just because I felt that we needed to add some glam that comes with the Snow Queen, we stuck strips of glitter foam paper at the top and bottom of the card and added in a deco felt resembling a crown. To make the text and picture have a slight 3-dimensional effect, we used the sponge double-sided paper to put them in place. Finally, we added in the snowflakes and Olaf using Blu-Tack. 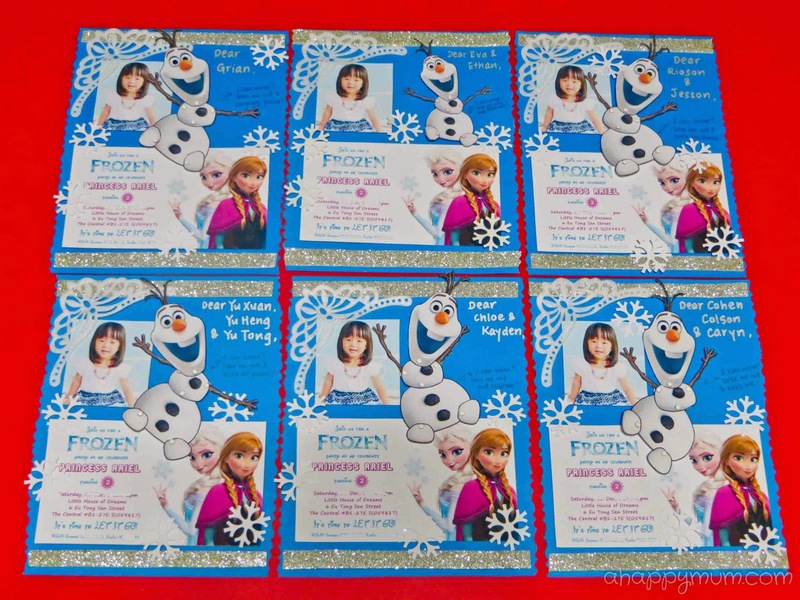 We also personalised the invites with the names of the kids and left a message beside Olaf to let them know that he can move and request for them to keep him. I sure hope they do! Ta-dah! 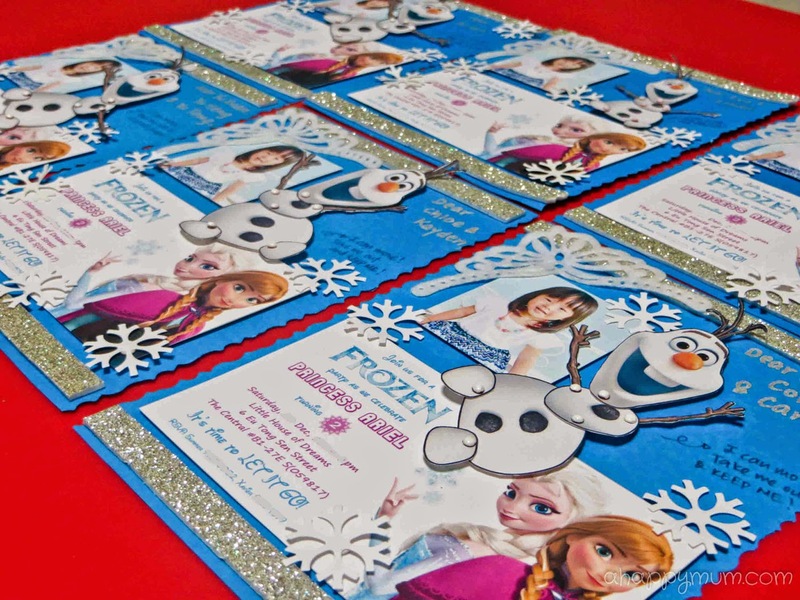 So here are our final Frozen birthday invites! It was really straightforward but fun to make these, how do you think they look? So, somebody is turning TWO very soon! We are surely looking forward to her big day and can't wait to share more about the party with you! 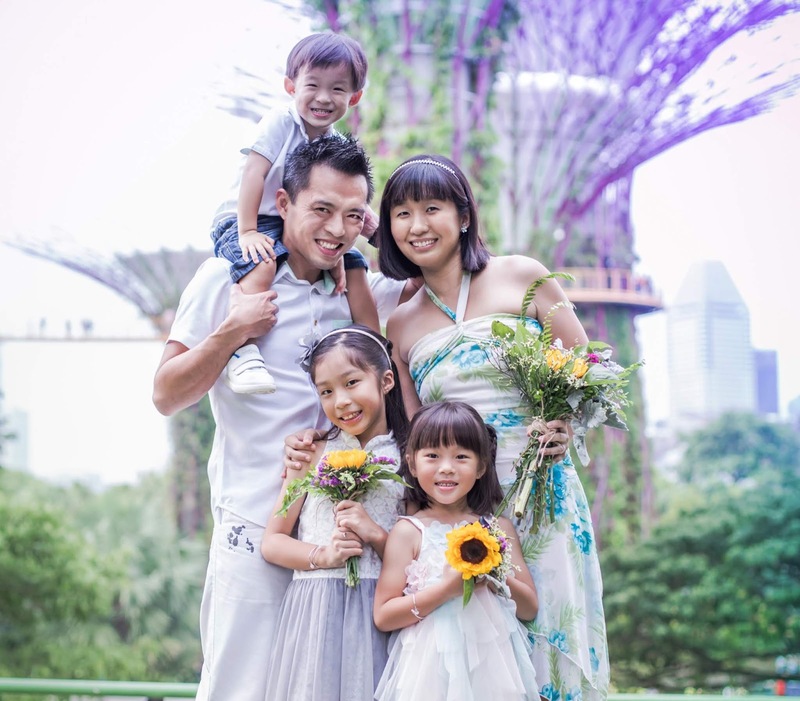 If you would like to win a birthday party (worth over S$1,500) hosted by KidzFiesta for your child in 2015, here's how you can take part. 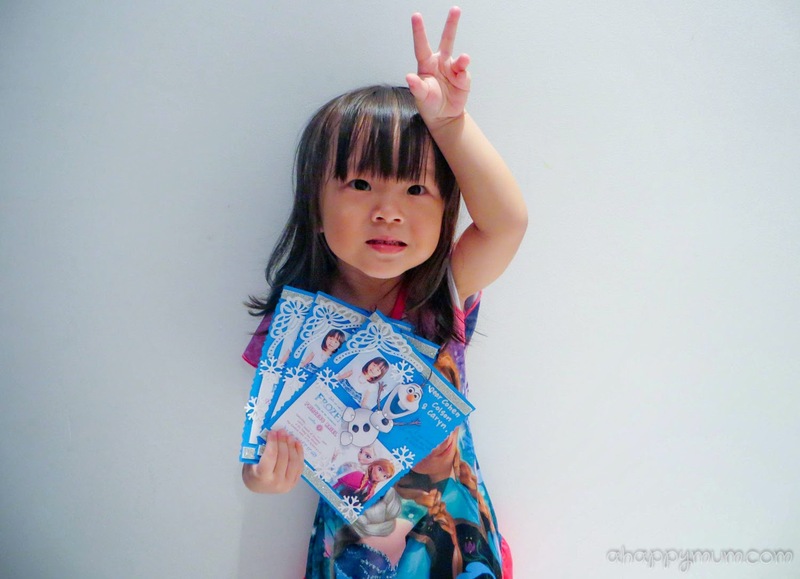 Contest ends 20 Dec, so hurry! I love your Olaf! So adorable! I like you deco felt and craft punch too! You always made birthday invitations look so awesome! Super creative and pretty! I hope I can replicate something similar for the kids' Xmas gifts and cards. Thanks Wenqi! I am sure you can do it and even better! =) Jia you! The invitation card is so creative and beautiful. I love the Olaf and the snowflakes. I'm sure Ariel had lotsa fun doing that. Thanks Qian Wen! I love Olaf too but it is much to hard for Ariel to make. Lol. She did have fun trying her best to punch the snowflakes though! Hi, may I know where u get the glitter foam? Hi, I got it from a neighbourhood stationery store. Yoi can try Popula or Art Friend?